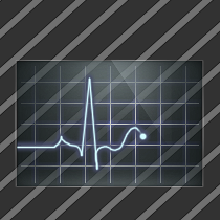 Another version of my oscilloscope style animated Task Manager. The glass effect has become better and i thinks it looks better without the frame. @Wincustomize Can you please do something about the spam apocalypse happening on your site? Thanks. You NEED to PM me if and when you see any spam on your comments, otherwise they can go unnoticed and attract more.